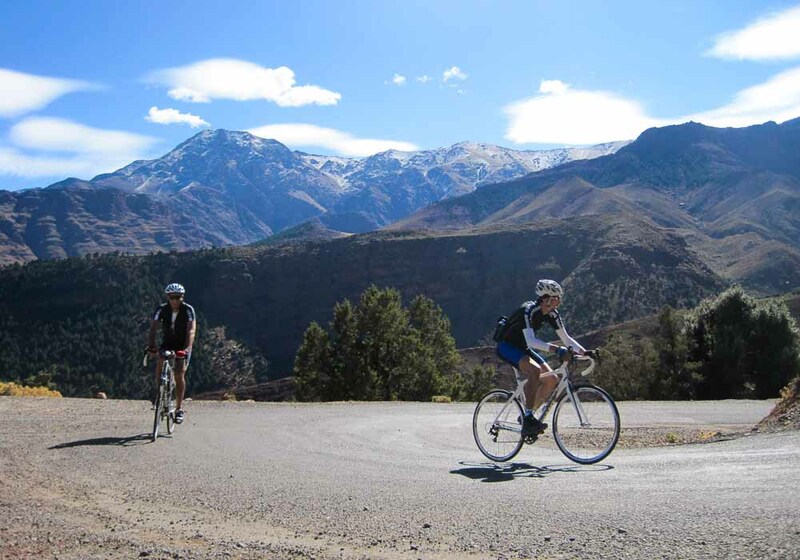 The freedom of a cycling holiday is a brilliant way to explore Morocco. 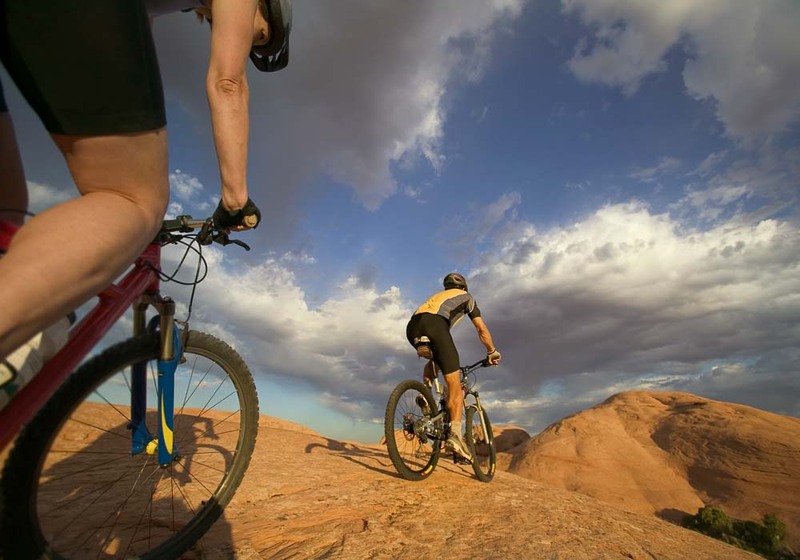 The slower pace gives you a chance to appreciate the kingdom you’re riding through, noticing things you’d never see from a car or a plane. 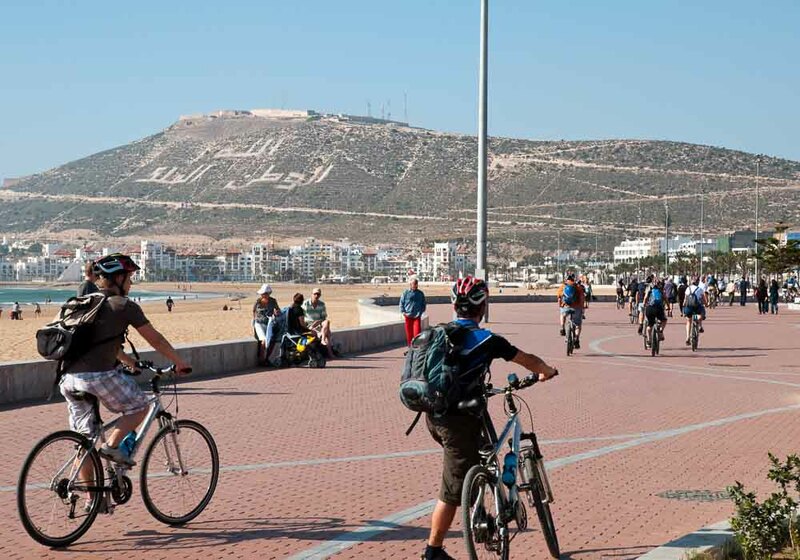 There are excellent routes wherever you cycle in Morocco, whether you’re going from town to town, want to travel the Atlantic Coast or do some climbing in the mountains. 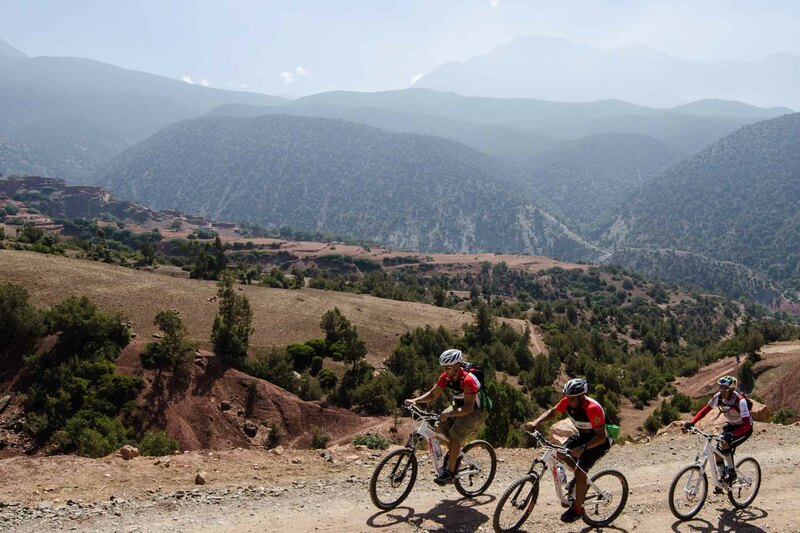 Off roaders will be spoilt for choice too: riding through the Sahara is an experience that will live with you for a lifetime, while a lot of riders enjoy the ups and downs experienced in the Atlas mountains. 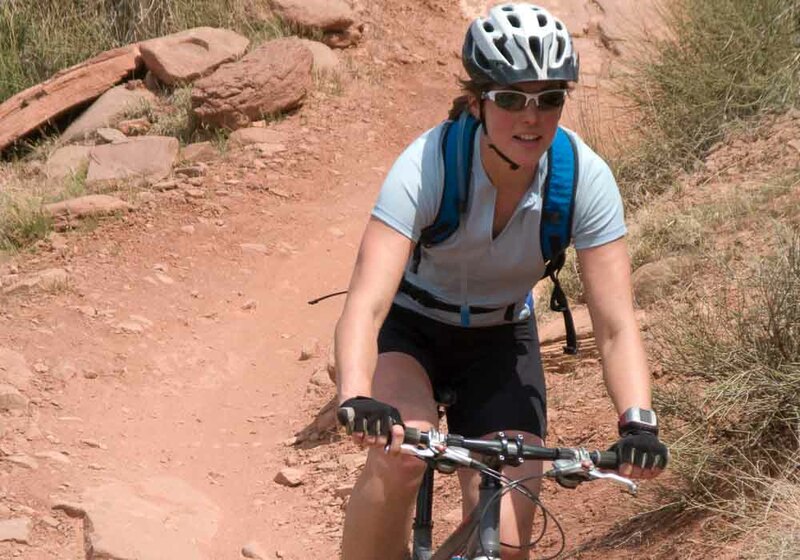 You can set your own course or join in one of the numerous itineraries with a local guide that you can book beforehand. 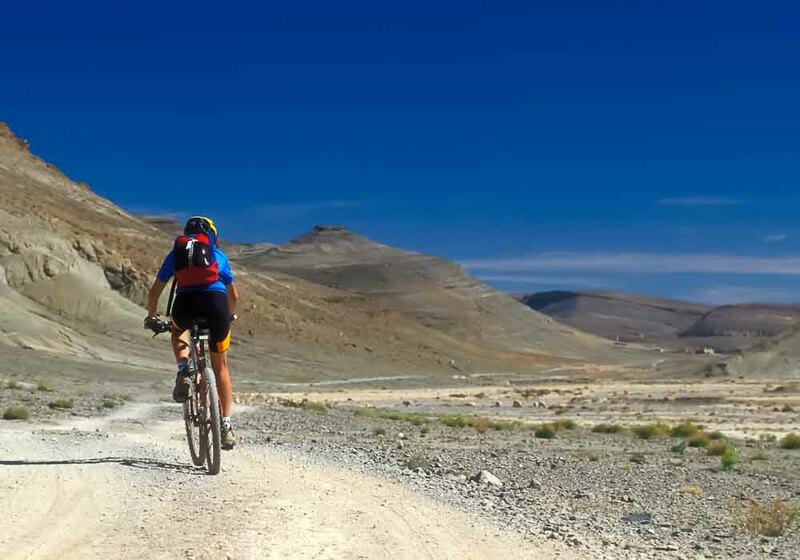 Cycling in this part of the world is an amazing experience. 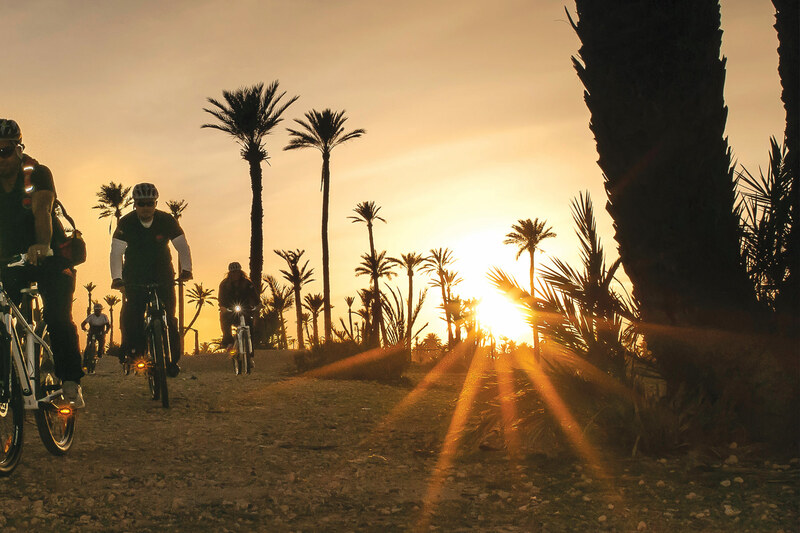 Unlike the towns and cities, cycling around Merzouga means you can really get in touch with the massive landscape that surrounds you. See the gorgeous sunrise while sitting on a sand dune, or camp under one of the clearest, most star filled skies you have ever seen. 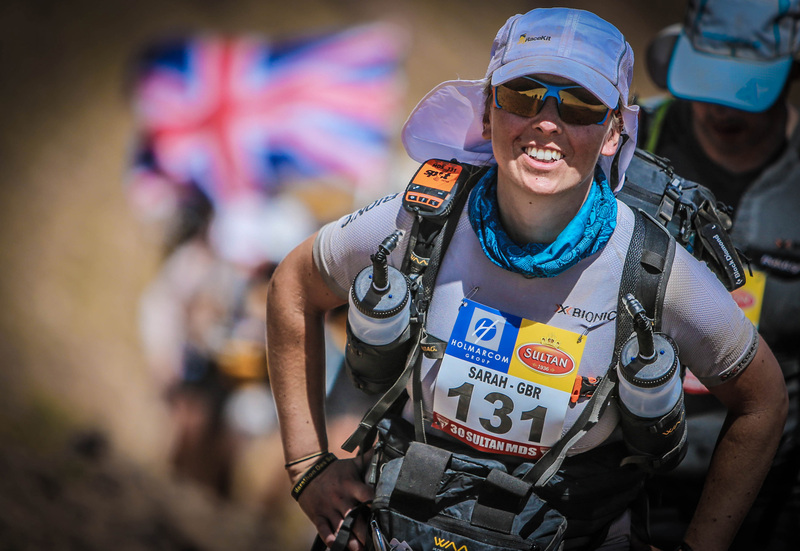 Either way, be prepared for stunning desert scenery where sand, wind and sun come together to produce unbelievable views. 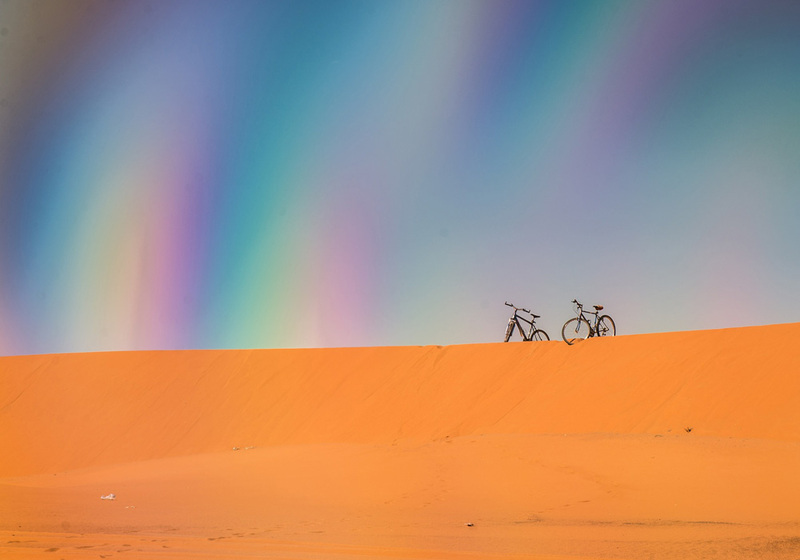 You’ll cycle past beautiful oases and sand dunes as tall as minarets, and the only people you will meet, apart from the residents of the small villages along the roadside, are nomad families and the occasional fellow traveller. 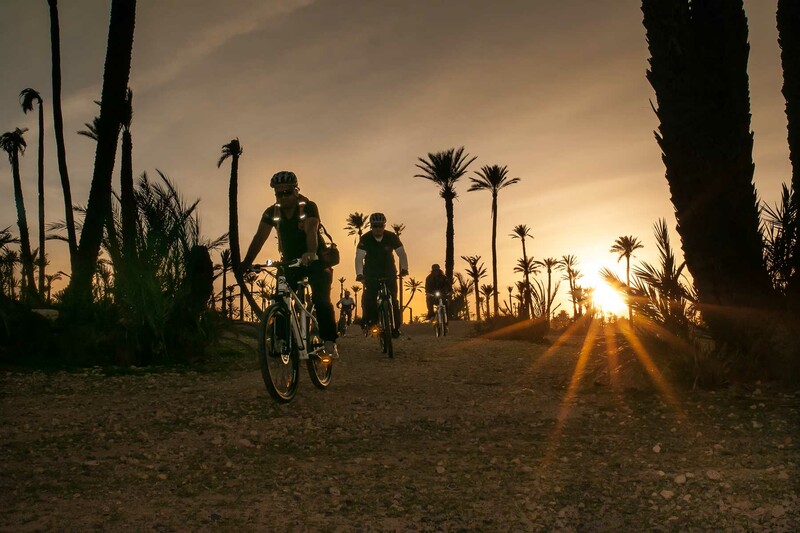 Ouarzazate, otherwise known as the Door of the Desert, connects the N9 route over the High Atlas Mountains to the Sahara. 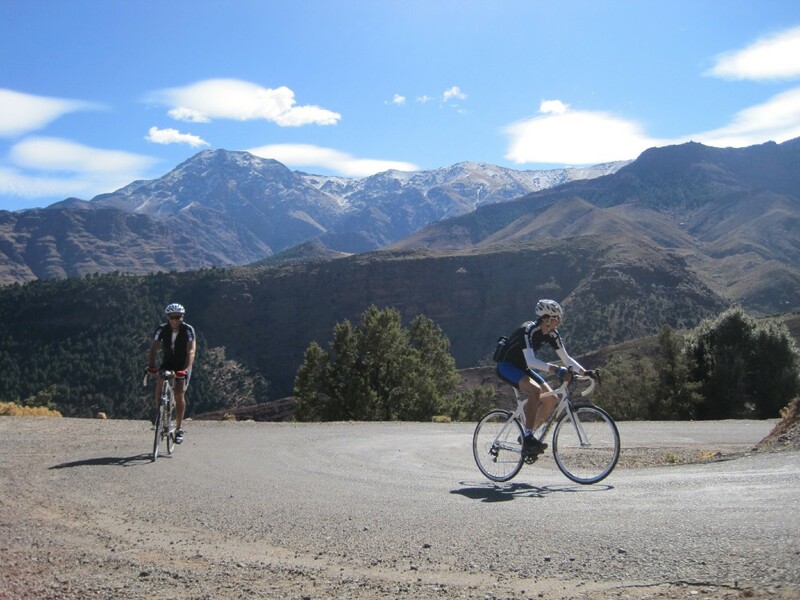 It’s the perfect place to start a cycling journey or to visit when coming over the mountains from Marrakech. 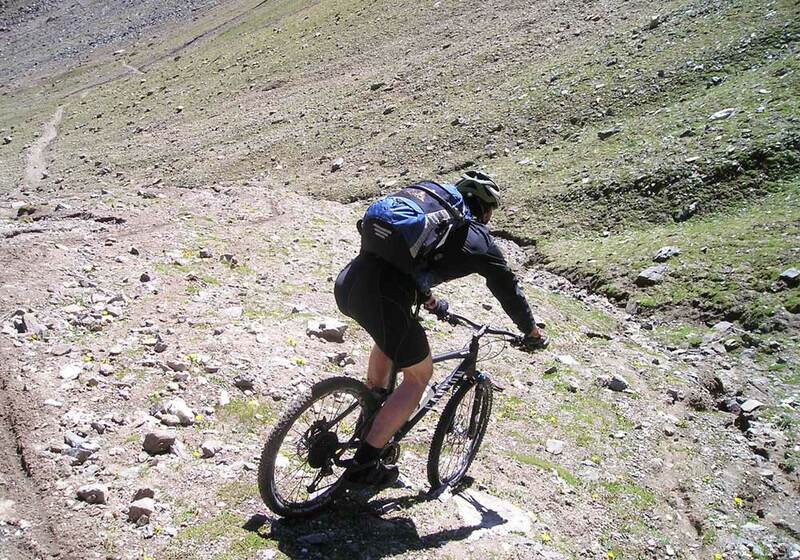 On this path you get to enjoy one of the best descents Morocco has to offer down towards Ouarzazate. 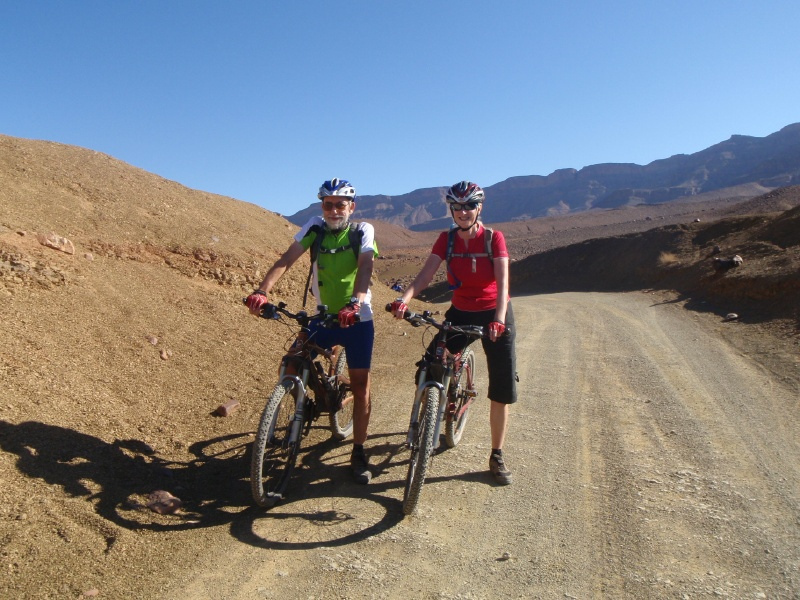 In town, you will find it easy to rent a bike and excursions with a local guide into the desert or mountains are easy to book. 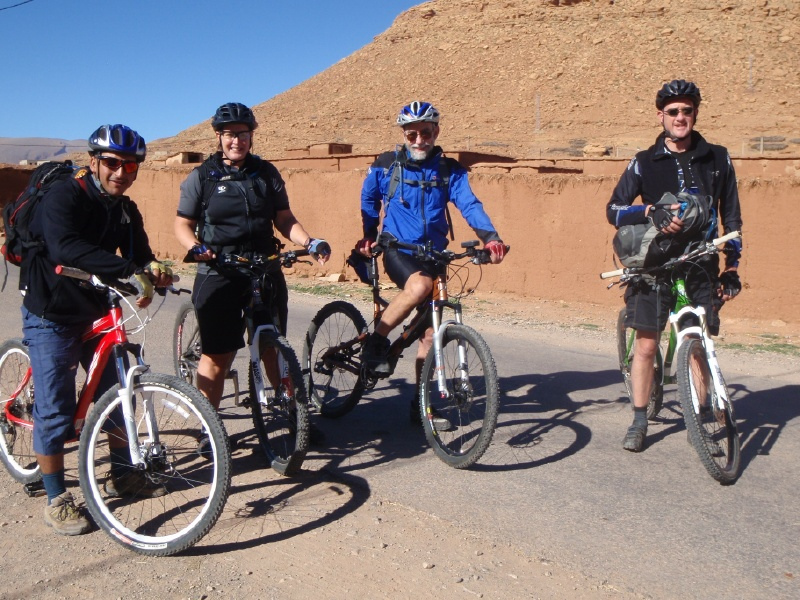 Make sure to tour the Ksar of Aït Benhaddou, a fortress of red clay, or the Kasbah of Tifoultoute, just five miles from Ouarzazate.